Some countries mineral communities have been working really hard to improve their data on mindat.org - but others are still lagging behind. So, who's doing well, and who could do better? The percentage figure given shows the percentage of localities that have coordinates or regional boundaries specified. I hope contributors from those countries that are poorly represented can take up the challenge of improving the data. If you think you can help in adding coordinates for localities in your region and you don't yet have access to do so, please get in touch! I would also like to point out that the Martians (at 55.88%) are WELL ahead of the Venusians (at a dismal 0%). Come on you inhabitants of Venus, you can do better than that! Edited 1 time(s). Last edit at 01/09/2019 05:07PM by Andrew Debnam. Except neither Mars nor Venus is a country. This is just a statistical fact and has nothing to do if a country does good or bad - at least in my opinion. You could also choose how much precise literature has been added to a locality. For me thats way more important and in most cases you get also some sort of GPS coordinates too there. I have coordinates for almost all mines and prospects in Bolivia, a thousand of them perhaps, but a few years ago when I was starting to enter them, most of them ended up showing icons on the map that were far away from their true localities (sometimes by up to 100 km), so I quit entering that data. Perhaps it was a datum problem. I'll get back to it after Tucson and maybe someone more experienced with coordinates can help me figure out what went wrong. I frequently get asked not to enter locations or details, or at least not coordinates, to deter overly enthusiastic or commercial collectors, a bit of a dilemma. 1. If there site is well-known in the scientific or popular literature then it doesn't deserve any special treatment. If there's a small hidden dump associated with the famous site hidden out of the way somewhere then by all means avoid entering those coordinates. But the main mine, yes, it needs to be in. 2. Anywhere that is a type locality must have coordinates entered if known - no exceptions. 3. Other sites that have particularly unusual or rare mineralogy would need a VERY good reason to avoid having coordinates entered. I do not really like this idea, but if there is a really good reason not to enter accurate coordinates then please assign the position close by to a reasonably valid marker (say within 1km) AS LONG AS YOU MENTION IN THE DESCRIPTION that the coordinates are offset to this point in order to protect it. With ~1km accuracy we still are able to use the data for our scientific statistical work. Which leads me to point 4. 4. If someone else has entered accurate coordinates for a site, and it's one you'd rather the coordinates were not revealed for, you better have a very good reason for asking us to remove/edit them. If you choose to do this yourself and change the coordinates - even if you believe you are doing this for a good reason - you will be classed as vandalizing the mindat.org database and lose any edit permissions you have. So it's far better you add in some 'slightly accurate' coordinates before someone else comes along with the right ones. Alfredo - your bad coordinates for bolivia are almost certainly due to poor conversions between geodetic coordinate systems, possibly compounded by converting from UTM or similar based maps. It may be possible to try out some conversions on your coordinates with known possible coordinate systems to WGS84 to see if we can figure out what they are and that would allow us to automate conversion to valid co-ordinates. Jolyon, I think it would be a a big mistake to post new localities on private property within even two kilometers of their true coordinates. If the locality yields any kind of above-average material, it will be overwhelmed by collector traffic, with or without permission. I'm with Jolyon here. To build a proper world recognised mineral database, Mindat must have the most accurate information; that includes locality information. To me, there is no such thing as a "secret" location. Someday, it will be found whether the coordinates are posted on Mindat or not. If the co-ordinates are in the public record (even if some of them are a bit difficult to locate) then there is no reason for them not to be included. I suggest that probably Alfredos' Bolivian mines are on the public record somewhere. And yes changes in various Datums is an issue if the source detail is more than a few years old ( I have been caught out a few times). There are various sites that allow you to convert them but I haven't found any automatic way of doing that. As for "near" coordinates there is nothing wrong with including a note in the description box to indicate if the coordinates are approximate (especially if using a printed map) and the source material is referenced. I have found that the most difficult areas to get co-ordinates are any African country (excluding perhaps Namibia) and any current or former communist country). 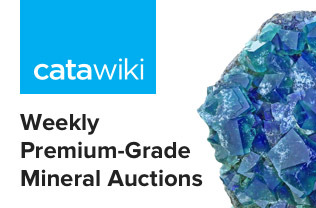 As an aside, it might also be useful to have a highlighted Ethics page somewhere reminding the public of the need for responsible collecting and that many sites listed in Mindat are on private property or on mining leases where no collecting is permitted. I.e. : a more extensive "ethics practice" than what is in the current responsibility policy. Need to remind all that they must have appropriate permissions to collect, authorisations, fossicking licences etc etc (though we probably don't need it for non-earth localities ((-:) ). First, Jolyon, I applaud your courage of possibly provoking the ire of the Martians by putting the Venusians in the lead. Rock on! Next, I agree with Paul that the VAST majority of collectors know and follow the rules of etiquette, and always ask for permission before digging on someones else's land. However, as Keith said, it definitely wouldn't hurt reminding folks about the ethics in collecting. Most of the sites that I know of that are now closed to collecting are due to: pressures brought on by insurance and safety regulations, vandalism of equipment (obviously done not by mineral collectors), and lastly trespassers. Unfortunately there will always be some folks who will ignore the rules (hence the general need for police), and will risk the consequences of doing whatever they please. It would be nice if the landowners would just prosecute those who don't follow the rules, instead of punishing everyone (by denying anyone access) due to the actions of a few individuals. I see Japan is ranked very poor. Good! In fact, great! As someone who lives and collects in Japan, I have come across dozens of localities that are not recorded on Mindat. Why would I ever post them for everyone to have access to? Has anyone been following the trends on Instagram, Facebook, Yahoo Auc. etc.? If I were to tell you there was an island near where I live that has an outcrop of quality stibnite specimens, if I were to post that, what kind of people would come? Let's make this a multiple choice question: A--- The pure collector who collects just to have a piece of Japanese stibnite represented in his collection. B--- The scientist/geologist who wants to know what processes led to this outcrop of stibnite. C--- The modern collector, let's hack the ***t out of everything and haul as much as we can back to Tucson to make some coin. I mean honestly, which person would come nowadays? Yeah, no. I'm very glad Japan is information poor. Someone should research the correlation between new sites being posted publicly and then how quickly it takes for said sites to be shut down, bought up or turned into "dig fee" sites. I'd be willing to bet that the number of Japanese that follow what goes on on Mindat can be counted on your hand. There is a horrible language barrier here in this country. They are not good at English and would certainly be adverse to a sudden influx of foreigners collecting on their not so well known sites (or pretty much any site for that matter). If you want to know the good sites, move here. Learn the language. Live here. Build up local relationships and join collector circles. Oh, and whatever you find, donate the best of it to local museums. When I feel confident that collectors would do that, then I might post some of the new outcrops that I've found. Guess what people, the world doesn't revolve around Tucson. Also, by what standard is Japan deemed "very poor"? Most, if not all the major player mines are listed. All the famous localities are listed. The information available is very representative of what Japan has produced. As an aside, pretty much every locality listed on Mindat that I went to personally was in the vicinity of where the mark was (and many of them off limits to collectors). Aaron, it doesn't work that way. If there's a site that produces top quality specimens they will ALL eventually be removed and sold. Whether it is by multiple collectors or by a single local who is 'safeguarding' the locality. It's just down to an individual protecting his economic interest, it's got nothing to do with protecting a scientific site. This also isn't necessarily a bad thing - in many cases perhaps the majority if specimens are left in a exposure uncollected they'll soon degrade and become worthless. In many cases such as active quarries etc, the best ethical thing for a collector to do when they find a new exposure of something special is to collect every single piece to safeguard them. 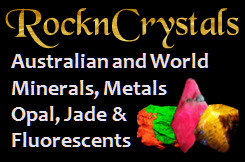 Rock Currier was very much of the philosophy before that selling minerals was perfectly ethical and that "the person who pays the most for a mineral specimen is the one most likely to take good care of it". He wasn't wrong. The additional problem is that by making the locality vague you are devaluing (both scientifically AND economically) the specimens collected from there as there's no context, and no guarantee that they really come from where they claim to be from. We have seen countless cases of 'fake' or misleading locality names designed to protect a source - some are so famous that they're now more commonly used than the correct name even when that's been revealed (eg 'Lake Jaco' garnets from Mexico). Still, as I've said, I am not forcing anyone to add coordinates if they don't want to. We also strongly recommend putting comments on the locality page warning collectors that this specific locality is off-limits for collecting if that is the case. Jolyon, I apologize about yesterday's post. I was in a bad mood and should have refrained from posting in that state. You bring up some good points to ponder upon. I just want to say that what I posted yesterday was not directed to the regular members of Mindat. I sincerely hope that collectors feel the same sense of, I dont know, gravitus? Awe? Amazement that I feel when I free a specimen from the ground. It shouldn't always be about the money. Yet, if collectors feel that same deep feeling when they buy specimens at the Tucson show, well that is a wonderful thing. There is nothing wrong with making a profit off of ones finds, especially if one is collecting at a fee site. By all means, one should try to get their money's worth in specimens! I agree that any site already on public record should definitely be posted on Mindat. To that end, I will do what I can to cooperate. To Jolyon and all the mods who make this site a great place to learn from, thanks for your hard work and your patience in dealing with those of us who are new to the scene and undoubtedly have much to learn. Here in belgium and the Netherlands we have "waarnemingen.be", a website where observations of plants and animals can be uploaded; it is also managed by administrators, who will especiazlly look if rare species are mentioned . A special feature of this website is that you can blur the locality in case of rare or endangered species. In this way, the information is in the database and accessible for scientific research, while the locality is "protected". An idea for Mindat? Here's a locality from the Mindat file that seems to follow well Jolyon's new preferences of posted mineral locations:Quarry (MRDS - 10154767), Tibetown, Augusta Co., Virginia, USA. The shown location is about 50 miles from the named county; I can't find any community named Tibetown within the United States, THere's no reference for the location, and it yields no species of interest. This information will keep that collecting spot protected for generations. Edited 1 time(s). Last edit at 01/12/2019 06:19PM by Tom Tucker. In Australia I think all states protect some geo heritage sites, eg caves, fossil occurrences, unusual geological formations etc. In Tasmania for example these sites are nominated to the Environment Dept, and kept on a register with only broad information made public. These are not usually mineral-collecting sites, but some are, especially sites for petrified wood etc. Generally mines tend not to be nominated, but I have been involved with discussions about whether type locations and other important mineral sites should be nominated, and how it would affect current or future mining operations and amateur collecting. It’s complex, as usually the minerals would not have been found without mining, and very often important finds are due to amateur collectors, and without amateur collecting most would be destroyed either by mining or natural weathering.